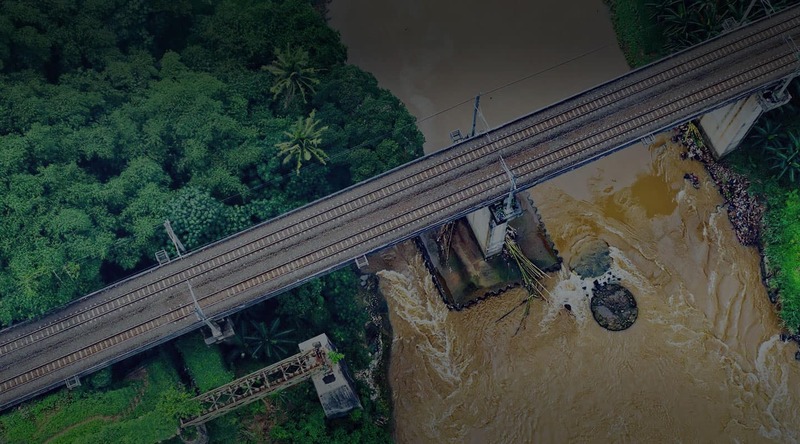 ideaForge’s drones are used for day and night surveillance of railway assets and infrastructure, inspect hard-to-reach areas and monitor physical progress of ongoing railway projects. In railways, safeguarding the continuous operation of rail trafﬁc entails maintenance of the rails, sleepers and gravel beds, design and construction of extension works and monitoring of the condition of railway bridges, among many other activities. All these tasks require the efﬁcient and regular measuring and mapping of railway trajectories and their surroundings. Traditional methods of manual ground surveys are slow, time-consuming, unsafe and interfere with the train timetables, causing delays and dissatisﬁed travellers, in addition to being expensive in the long-term. 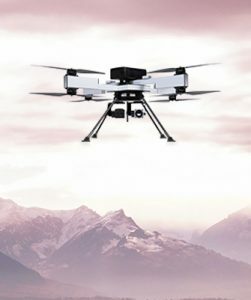 An alternative geodata acquisition technology that does not interfere with railway operations is aerial surveillance using UAVs. The applications of drones in railways include preparing contour maps of the area where new rail lines are proposed, 3D models of stations for visualization and 3D models of the terrain to draw accurate plans. GIS mapped data can be used to calculate the length of track laid and create 3D models to help project managers map potential risks to construction. 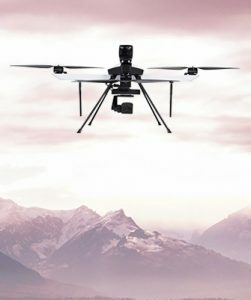 Drones can also be used for periodic assessment of assets, inspect hard-to-reach areas such as bridges and tunnels, monitor electrical works along the length of railway tracks as well as inspect them for corrosion and cracks or fractures. Drones can be used as ﬁrst responders in case of natural calamities by quickly assessing damages in railway network and providing crucial insights to emergency personnel. Aerial data acquisition by ideaForge’s drones equipped with sensors can decrease the capital costs of railway projects by 12% and maintenance by 17%. ideaForge’s drones have been integrated with Indian Railways Accident Relief Trains (ART) system for disaster management. 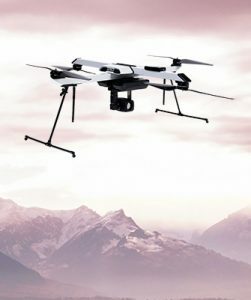 The Indian Railway Protection Force (RPF) uses the drones for day and night surveillance of workshops, yards and tracks to prevent theft, sabotage and pilferage. ideaForge’s drones are used for project progress monitoring and ensure accountability and increased efficiency. They are also used to inspect railway infrastructure such as bridges, OHE, rooftops and inaccessible railway infrastructure regularly without putting lives at risk while avoiding down-time and blocks.